A few weeks ago I posted about the life changing experience known as bacon jam. It is insanely good. So what do you do when you bring something that awesome into your life? You search until you find away to recreate it so that you can have it all the time. Yes. Here is my recipe for one of the most mind blowing foods I ever had. 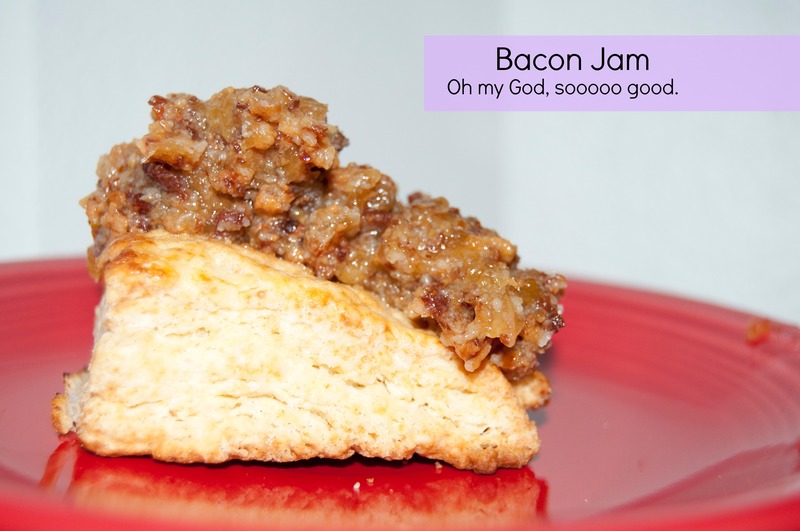 1 pound bacon jam 1 medium onion, diced small 1-2 garlic cloves, diced 1/4 cup cider vinegar 1/4 cup brown sugar 1/4 cup maple syrup 1/2 cup brewed coffee Chop up the baccon to small peices less then a 1/2″ in size. The smaller the better. Cook the bacon in a skillet for about 20 minutes or until it is brown. 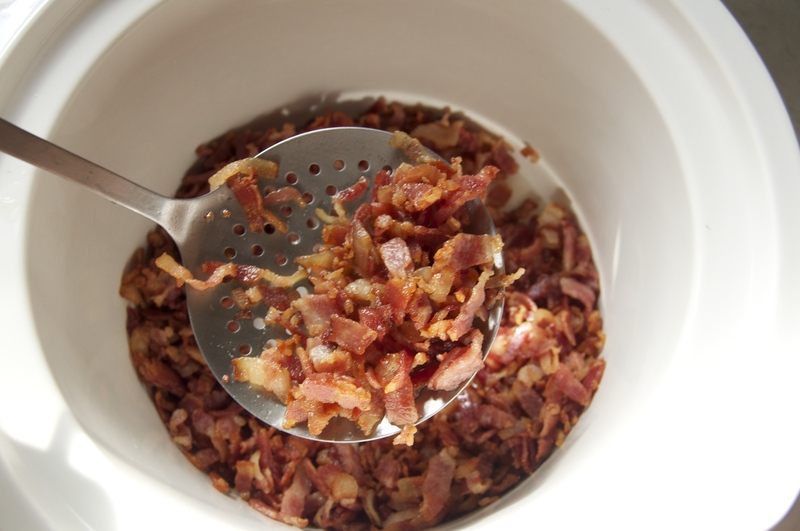 Remove the bacon from the pan and blot off the extra grease with a towel and place in your crock pot. 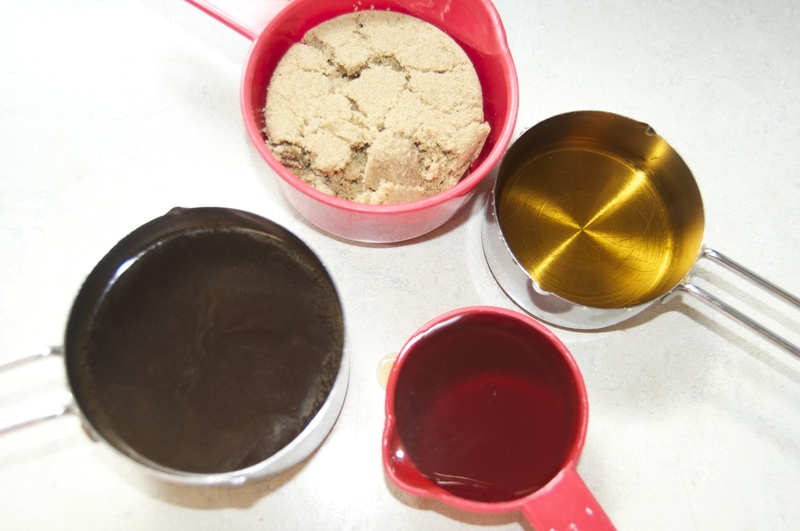 Remove all the grease from the skillet except for 1 tablespoon. Add in the onion and garlic. Cook until the onion is translucent. 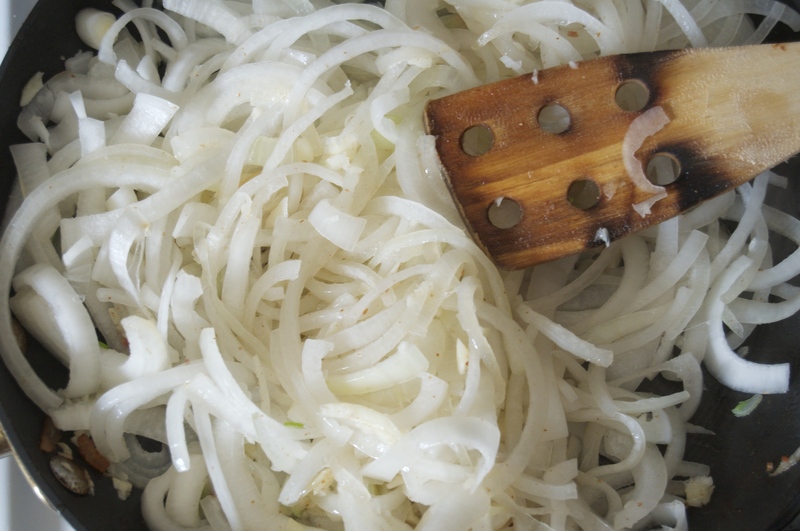 Add the vinegar, brown sugar, maple syrup, and coffee to the onions and cook for five minutes. Transfer everything in the skillet to the crock pot. Cook for four hours on high. When the bacon jam is done cooking remove half of it from the crockpot and blend it in a food processor until choppy but well blended. Mix the blended bacon in with the bacon in the crock pot. It is now ready to eat. The bacon jam can be kept for about 3 weeks if refrigerated and placed in an air tight container like a mason jar. Let me know what you think when you try it.